Elena of Avalor: Celebrations to Remember is out on DVD beginning September 12th. 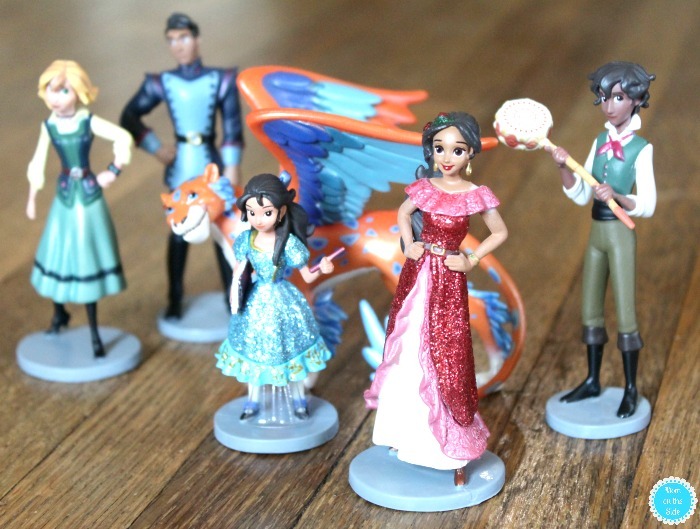 To celebrate, I’ve rounded up all the awesome Elena of Avalor toys and products available. Not only that, I’m giving a few of them away at the end of this guide. Check it out and gather some birthday and holiday gift ideas, and enter for your chance to win. There are several Elena dolls available, including action figures and plush. 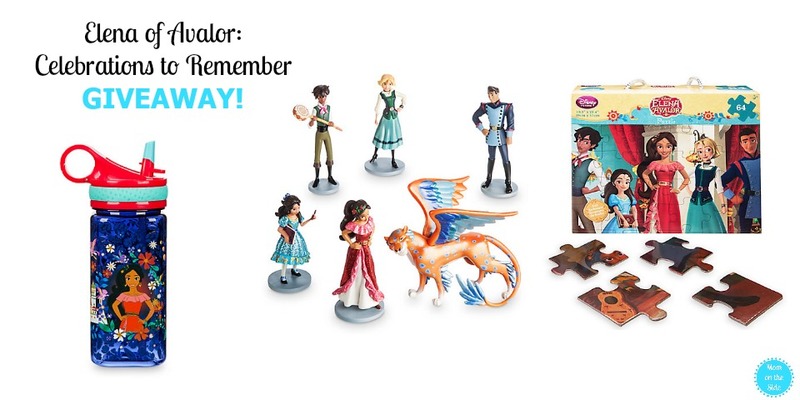 The Elena of Avalor Figure Play Set shown below is included in the giveaway and comes with 6 characters including Elena, Isabel, Gabe, Naomi, Mateo, and Skylar. This set is currently BOGO Free at DisneyStore.com. 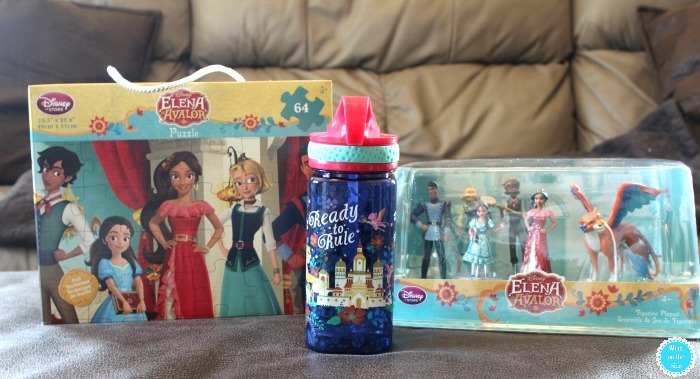 Play time with Elena of Avalor toys goes beyond dolls and action figures. I seriously want the Churros and Chocolate Tea Set – doesn’t that sound like a fun play date?! 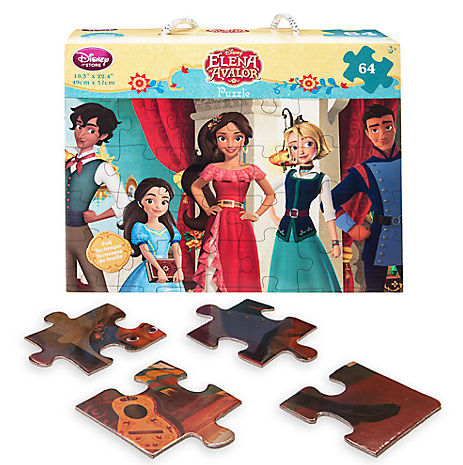 The Elena Puzzle that’s included in the giveaway (and pictured below) would also be a lot of fun.! Princesses usually rank pretty high on the Halloween costume list. I spotted a few different Elena of Avalor Costumes and accessory sets and the most adorable pair of Elena Costume Shoes! You know we are a house of readers and no Ultimate Toy and Product Guide is complete with out books! Feliz Navidad – perfect for reading after watching Elena of Avalor: Celebrations to Remember on DVD! 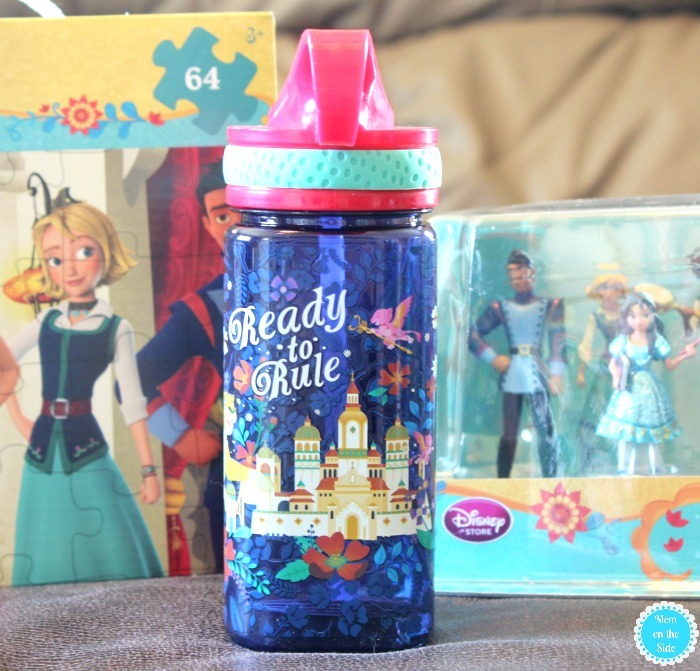 One lucky Mom on the Side reader is going to WIN an Elena of Avalor: Celebrations to Remember prize pack! My daughter would love this. Thanks for the chance. My childs favorite Disney show is Sofia the First. Thanks for the giveaway. I hope that I win. My daughter loves Doc McStuffins. My granddaughter’s loves Doc McStuffins and Paw Patrol Sofia the First oh I could on and on lol she loves them all. My daughter loves Doc McStuffins and Paw Patrol! My daughter likes The Lion Guard.